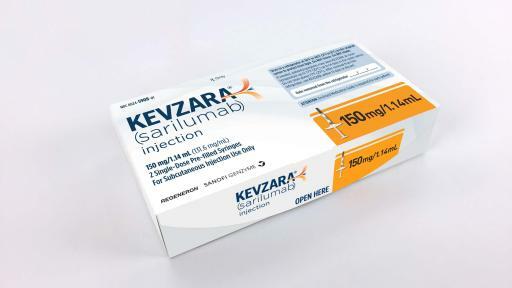 Paris and Tarrytown, N.Y. – May 22, 2017 - Sanofi and Regeneron Pharmaceuticals, Inc. today announced the U.S. Food and Drug Administration (FDA) approval of Kevzara® (sarilumab) for the treatment of adult patients with moderately to severely active rheumatoid arthritis (RA) who have had an inadequate response or intolerance to one or more disease modifying antirheumatic drugs (DMARDs), such as methotrexate (MTX). 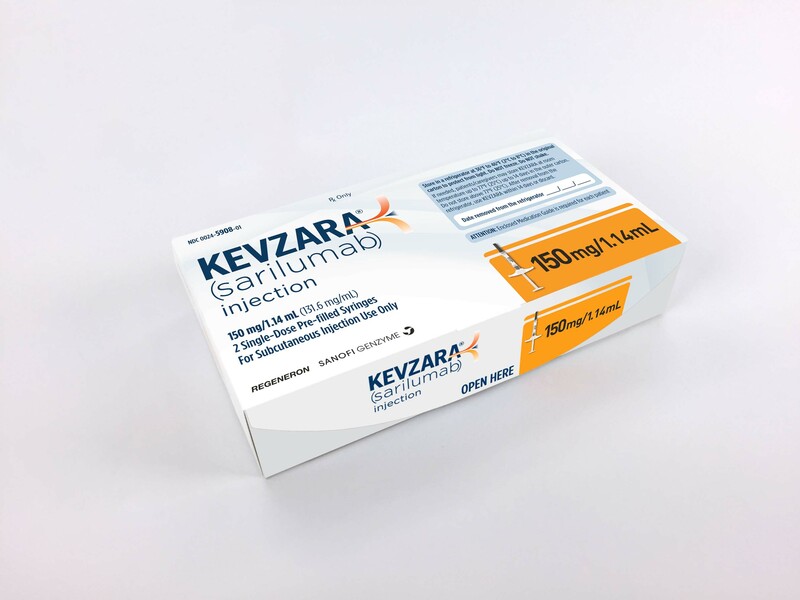 Kevzara is a human monoclonal antibody that binds to the interleukin-6 receptor (IL-6R), and has been shown to inhibit IL-6R mediated signaling. IL-6 is a cytokine in the body that, in excess and over time, can contribute to the inflammation associated with RA. 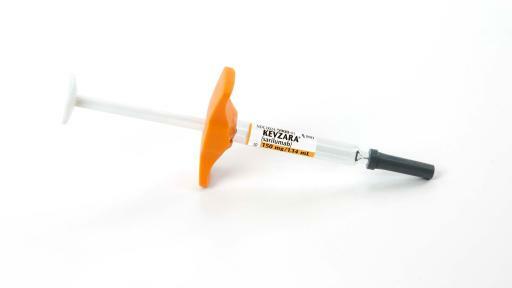 In the U.S., Kevzara will be marketed by Regeneron and Sanofi Genzyme, the specialty care global business unit of Sanofi. Kevzara was approved in Canada in January 2017. 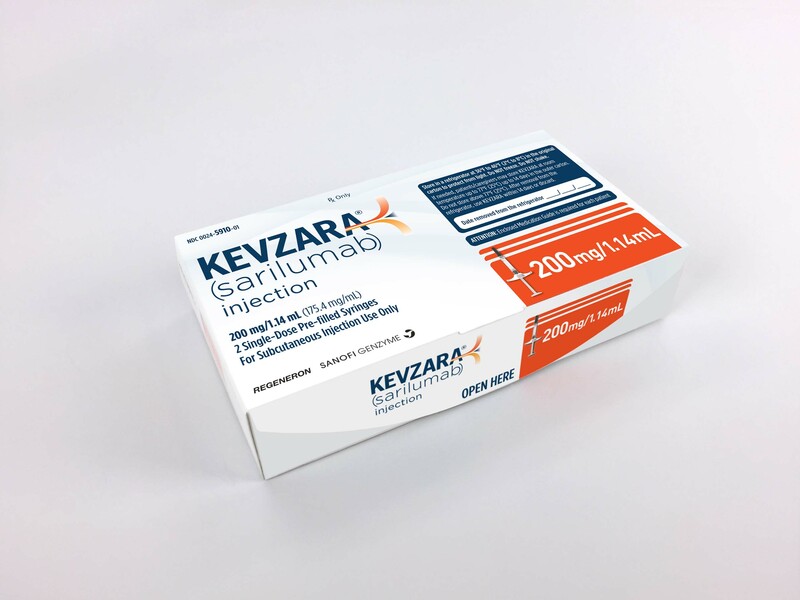 In April 2017, the European Medicine Agency's (EMA) Committee for Medicinal Products for Human Use (CHMP) adopted a positive opinion for the marketing authorization of Kevzara recommending its approval for use in adult patients with moderately to severely active RA. A final decision on the Marketing Authorization Application (MAA) for Kevzara in the European Union will be made by the European Commission in the coming months. The companies are also seeking approvals in a number of other countries globally. This news release includes forward-looking statements that involve risks and uncertainties relating to future events and the future performance of Regeneron Pharmaceuticals, Inc. (“Regeneron” or the “Company”), and actual events or results may differ materially from these forward-looking statements. Words such as “anticipate,” “expect,” “intend,” “plan,” “believe,” “seek,” “estimate,” variations of such words, and similar expressions are intended to identify such forward-looking statements, although not all forward-looking statements contain these identifying words. 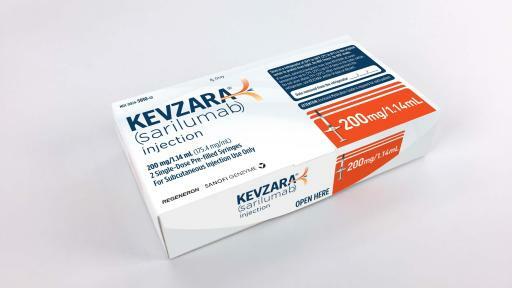 These statements concern, and these risks and uncertainties include, among others, the nature, timing, and possible success and therapeutic applications of Regeneron's products, product candidates, and research and clinical programs now underway or planned, including without limitation Kevzara® (sarilumab) for the treatment of adult patients with moderately to severely active rheumatoid arthritis who have had an inadequate response or intolerance to one or more disease modifying antirheumatic drugs or other potential indications; the impact of the opinion adopted by the European Medicine Agency’s Committee for Medicinal Products for Human Use referenced in this news release on the European Commission’s decision regarding the Marketing Authorization Application for Kevzara in the European Union; the likelihood and timing of possible regulatory approval and commercial launch of Regeneron's late-stage product candidates, such as the possible regulatory approval and commercial launch of Kevzara in additional jurisdictions; unforeseen safety issues resulting from the administration of products and product candidates in patients, including serious complications or side effects in connection with the use of Regeneron's product candidates in clinical trials, such as Kevzara; determinations by regulatory and administrative governmental authorities which may delay or restrict Regeneron's ability to continue to develop or commercialize Regeneron's products and product candidates, such as Kevzara; ongoing regulatory obligations and oversight impacting Regeneron’s marketed products (such as Kevzara), research and clinical programs, and business, including those relating to patient privacy; competing drugs and product candidates that may be superior to Regeneron's products and product candidates; uncertainty of market acceptance and commercial success of Regeneron's products and product candidates and the impact of studies (whether conducted by Regeneron or others and whether mandated or voluntary) on the commercial success of Regeneron's products and product candidates, including without limitation Kevzara; coverage and reimbursement determinations by third-party payers, including Medicare and Medicaid; the ability of Regeneron to manufacture and manage supply chains for multiple products and product candidates; the ability of Regeneron’s collaborators, suppliers, or other third parties to perform filling, finishing, packaging, labelling, distribution, and other steps related to Regeneron’s products and product candidates; unanticipated expenses; the costs of developing, producing, and selling products; the ability of Regeneron to meet any of its sales or other financial projections or guidance and changes to the assumptions underlying those projections or guidance; the potential for any license or collaboration agreement, including Regeneron's agreements with Sanofi, Bayer, and Teva Pharmaceutical Industries Ltd. (or their respective affiliated companies, as applicable), to be cancelled or terminated without any further product success; and risks associated with intellectual property of other parties and pending or future litigation relating thereto, including without limitation the patent litigation relating to Praluent® (alirocumab) Injection, the permanent injunction granted by the United States District Court for the District of Delaware that, if upheld on appeal, would prohibit Regeneron and Sanofi from marketing, selling, or commercially manufacturing Praluent in the United States, the outcome of any appeals regarding such injunction, the ultimate outcome of such litigation, and the impact any of the foregoing may have on Regeneron’s business, prospects, operating results, and financial condition. 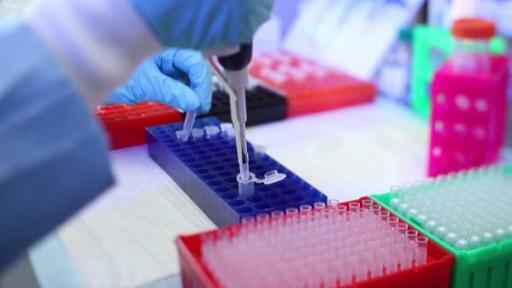 A more complete description of these and other material risks can be found in Regeneron's filings with the United States Securities and Exchange Commission, including its Form 10-K for the year ended December 31, 2016 and its Form 10-Q for the quarterly period ended March 31, 2017. Any forward-looking statements are made based on management's current beliefs and judgment, and the reader is cautioned not to rely on any forward-looking statements made by Regeneron. Regeneron does not undertake any obligation to update publicly any forward-looking statement, including without limitation any financial projection or guidance, whether as a result of new information, future events, or otherwise.